No matter the type of business you run or environment you work in, the risk of fire is a danger that is always present. Every effort is undertaken to minimise the possibility of fire, from the materials used in the building’s construction to …read more . Get a Fire Evacuation Plan in Sydney to Ensure a Safe Work Environment. Contact SPS Fire & Safety to Learn More. Having a suitable fire evacuation plan in Sydney is not only going to provide you peace of mind, but it’s also a mandatory and vital piece of safety equipment. Shareholders and controlling officers must recognise both the necessity …read more . Need to Buy Fire Fighting Equipment in Sydney, Granville and Beyond? SPS Fire & Safety Offers Experienced Support. Workplace safety is paramount – but recent findings from the Fire and Safety Association of Australia reveal that it’s difficult to achieve, with less than 50% of employees able to confidently respond to emergencies …read more . Promote a Safe Work Culture. Create Evacuation Plans and Diagrams in Sydney with Help From SPS Fire & Safety. Precision is the cornerstone of success. Careful routines allow companies to thrive in Australia’s marketplace and employees embrace this organisation to ensure consistent, streamlined results – until an emergency occurs. This sparks a wave …read more . Recognise the Importance of Experienced Fire Extinguisher Installations in Sydney, Granville, and surrounding locations. Schedule an Appointment with SPS Fire & Safety Today. The Australian Standards committee serves as the national voice of safety. Through it, a series of policies have been implemented, promoting more efficient (and more secure) workplace environments. Among these policies is AS 2444-2001, …read more . Do you know what to do in an emergency situation that may occur at your business residence? Whether the answer is “yes” or “no,” the more important question to ask is “Does everyone else know what to do?” In an emergency, it is essential for …read more . SPS Fire & Safety Emphasises the Need for Fire Evacuation Procedures in Sydney, Brisbane, Melbourne and Granville. The role of a supervisor extends far beyond profit margins and operational control. Instead, it includes the creation, implementation and constant monitoring of fire evacuation procedures. In Sydney, Granville and surrounding locations it …read more . 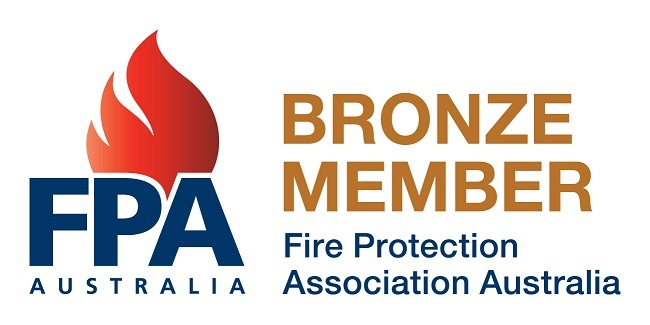 SPS Fire & Safety Offer Fire Safety Training for businesses in Sydney, Granville, Macquarie Park and Bankstown. Workplace safety isn’t achieved through the just presence of evacuation plans and emergency equipment. It’s instead achieved through the application of these elements. Consider these Ansvar statistics …read more . Whether your workplace is big or small, safety is always of the utmost concern. There are many hazards that come along with any building and fire safety is one of them. This is where SPS Fire & Safety comes in. Our company has been in business …read more .